﻿ DUI vs DWI: What's the Difference Between DUI and DWI? Home Auto Insurance Guides DUI vs. DWI: What’s The Difference? They’re two acronyms we hear a lot, and they both sound pretty bad. Driving While Intoxicated (DWI) and Driving Under the Influence (DUI) sound pretty similar – and both sound pretty bad. Have you ever thought which is worse? We compare DUI vs DWI: here’s what the two terms really mean. 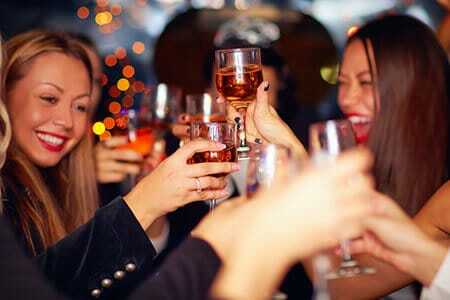 Let’s say a 140-pound woman leaves the bar after having three glasses of wine. She has a high alcohol tolerance, and considers herself to be perfectly able to drive. She’s almost home when another driver fails to stop at a red light and slams into the back of her car. Fortunately, she’s not hurt; but the police officer who comes to the scene smells wine on her breath and asks her to take a field sobriety test. She recites the alphabet backward and stands on one leg, no problem. A blood-alcohol test, however, reveals that her BAC is just over .09, so she gets a DWI. In this case, there’s a distinction between a DUI and a DWI because even though her driving did not appear to be impaired, the blood test proved intoxication. In our second example, a 170-pound man has three potent cocktails at a friend’s tiki party. As he drives home, a police officer notices that he’s swerving, and pulls him over. The man fails the field sobriety test (“Z-Y-X-W-T-U-V-umm…”), but a blood test reveals a BAC of .079 — just under the legal limit. Nevertheless, the officer can charge him with DUI, because he has evidence that his driving behavior is different from alcohol. “As a general rule, prosecutors in most states rely much more heavily on DWI charges than on DUI charges, since breathalyzer and blood-alcohol tests results provide more concrete scientific evidence than field sobriety test results. But in many states, police may double-charge drivers, once with DUI and once with DWI,” Law Insider says. DUI vs DWI: Which is worse? A few states do consider DUI and DWI to be separate charges. DWI is the more serious offense, meaning someone’s driving with a BAC of .08 or higher. DUI is usually a lesser charge, when a driver is impaired but has a BAC below .08. Every state has its own quirks in the DUI vs DWI laws, however. For instance, in Maryland, DUI is more serious than DWI; but DWI stands for “driving while impaired”, rather than driving while intoxicated. In most states, the penalties for DUI and DWI are the same. A first offense, with no injuries, deaths or aggravating circumstances, is a misdemeanor. It’s still a serious crime, however: You could pay thousands in fines, penalties, court costs and impoundment fees; plus a hefty fee for a DUI lawyer. Your license will probably be suspended, and you may spend time in jail. And your car insurance premiums will skyrocket, and remain high for years. If you have been convicted of a DUI or DWI and you are required to get SR-22 insurance, we can help. DWAI: DWAI is “driving while ability impaired,” which means you’re operating a vehicle while your ability to safely drive has been compromised because you’ve consumed alcohol or drugs. In Colorado, for instance, you can be charged with a DWAI if your BAC is .05 — that’s two drinks for a 150-pound person. OUI and OWI: “Operating under the influence” and “operating while intoxicated” — these mean the same thing as DUI and DWI. DWI: Just to make things confusing, DWI means “driving while impaired” in some states. It usually means a police officer believes you to be too impaired to drive, even if your BAC is under 0.8. Aggravated DUI: If you’re driving drunk with kids in the car, if you’re speeding; if your BAC is .15 or higher, or if you drive with a suspended license, the court can charge you with an aggravated DUI, which carries higher penalties. 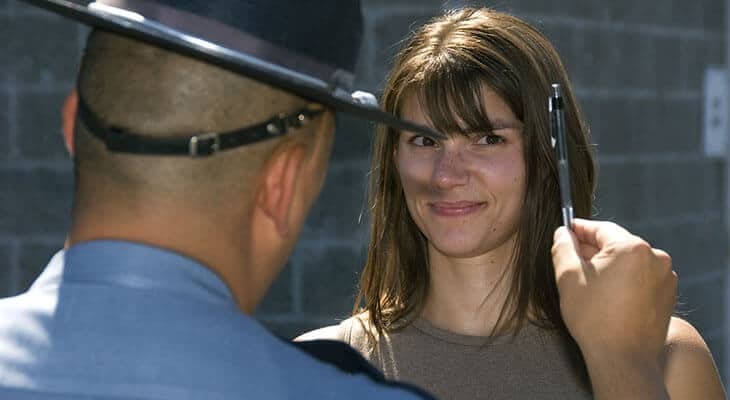 Felony DUI: Forty-six states have felony DUI laws, according to Responsibility.org, which means a court can charge a driver with a felony for a second, third, fourth or fifth offense, depending on the state. If you hurt or kill someone while driving drunk, that, too, may be a felony DUI. We know this is complicated. Here’s a tip: If you never drive drunk, you won’t have to worry about the difference between DUI and DWI! Not even a personal breathalyzer can help guarantee you’re good to drive, so use an Uber or Lyft if you’re not 100% sober to make sure you never learn the difference the hard way.